This butterfly was flying around my back yard when it landed on this weed. It’s such a pretty weed I haven’t had the heart to pull it yet. Looks like a fancy snapdragon to me Maralee. And it’s a butterfly attractor. I’d leave that weed alone! Thanks, I will. It’s been to pretty for me to pull. 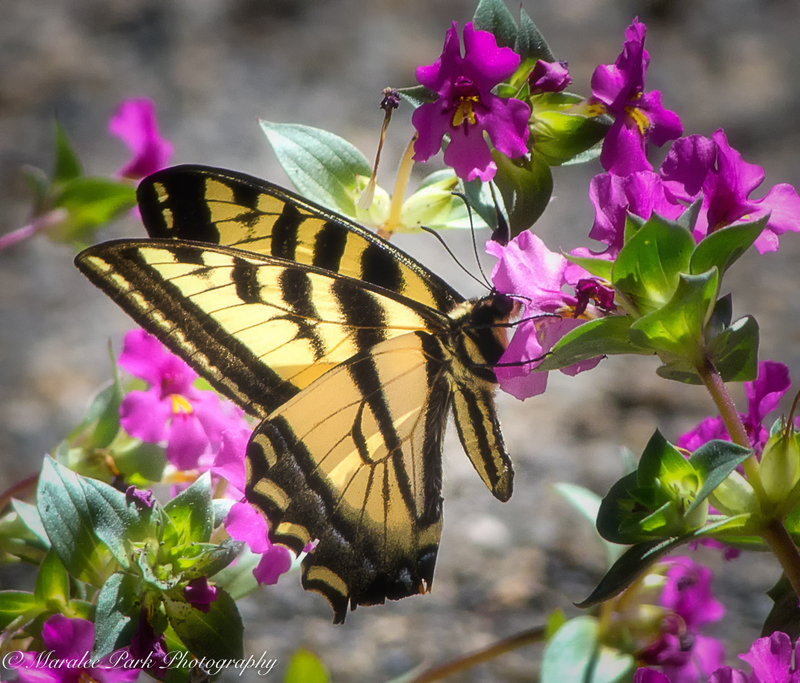 Nice tiger swallowtail . . . as for weeds, if they flowered and kept their blooms for a reasonable amount of time, I would let them be. Except dandelions. I was at war with them, and while there was no conclusive end to it, the casualties were disproportionately more numerous on their side than mine. I would call it a flower and let it be if it attracts such fine butterflies.